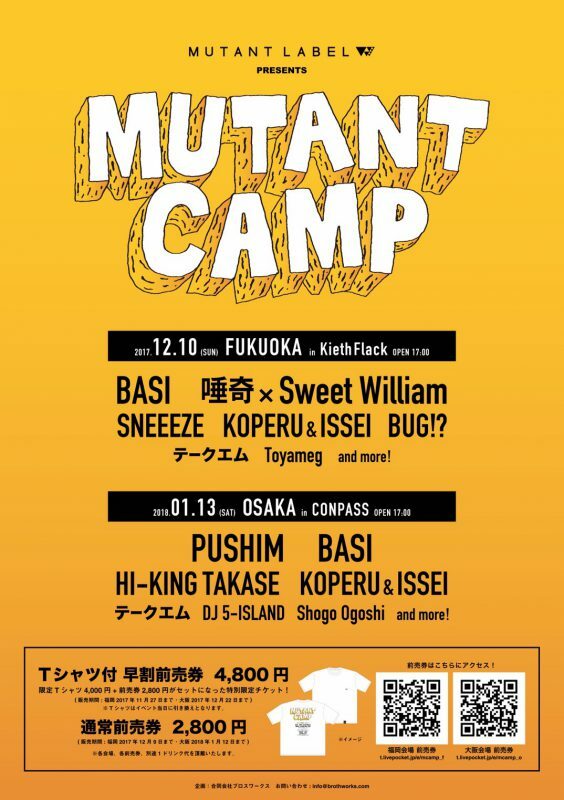 PUSHIM Official Web Site | 2018年1月13日(土)MUTANT CAMP at OSAKA CONPASS出演決定!! 2018年1月13日(土)MUTANT CAMP at OSAKA CONPASS出演決定!! 出演 : PUSHIM, BASI, HI-KING TAKASE, KOPERU&ISSEI, テークエム, DJ 5-ISLAND, Shogo Ogoshi and more!